• 100% pure thermally bonded polypropylene. • Tested to ensure efficiency is consistent even at extremes of flow and differential pressure. 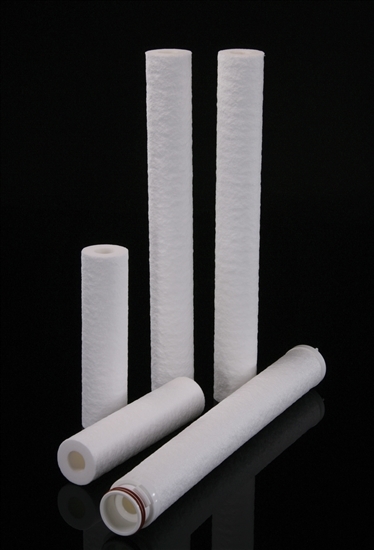 • Filtration ratings 0.5 to 100 μm. • Wide chemical compatibility, using 100% pure thermally bonded polypropylene. • Graded density structure for maximum dirt holding capacity. • High void volume, resulting in low differential pressure. • High strength all polypropylene cartridge, no support core required.